I’ve seen lately loads of different variation of brows these days, or if you could even call them brow…, one particular variation has emerged - the angry bird brow - , that’s what I call them …, Its suffice to say that I’m not a fan of over-sized and over-drawn brows, which are so hip and trendy at the moment. Don’t get me wrong, I do like strong brows, but only if it suits the rest of the face. Now, there are brows that you don’t need to touch (I am looking at you in envy Cara Delavigne!) And then there brown that you need to correct and groom – not naming any names here now…! 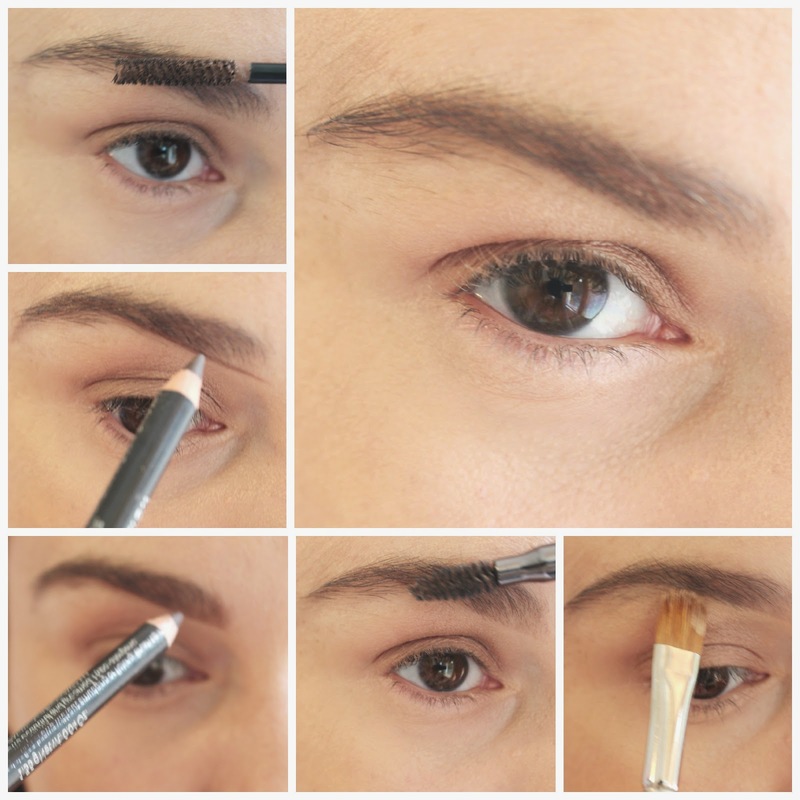 Brush the brows upwards with a tinted brow gel, this will add texture and colour to the brows and keep them in place. My favourite is the Catrice Eyebrow filler – Perfecting and Shaping Gel. Draw a line with a brow pencil that matches your brow colour - if in doubt go a shade lighter – just under the brow where the brow should start. If you can imagine a straight line going from the end of your nostrils towards the eyebrow, this is where your brow should start. My favourite brow pencil is the No 7 Beautiful Brows pencil – and its double -ended with a brush. Now draw another line to define the arch or if you don’t know where the arch is supposed to be – good rule of thumb is just above your lens. Using the same brow pencil draw with a light hand small tiny hair strokes in the direction the hair grows. With a brow brush – or you can also use a clean disposable mascara wand- distribute the colour evenly. With a clean concealer brush clean up under the brow to make the line straighter and to give it even more definition. And this is all the magic you need to know to create the perfect defined brow. Keep in mind, brows are sisters and not twins, so the shape varies and at the end of the day they don’t have to be completely identical... I always say nature knows best, and the easiest way to the perfect brow is just to follow your natural shape. What are your favourite brow products? Who’s your perfect brow idol?